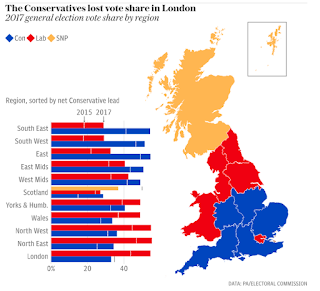 An interesting graphic from The Telegraph. 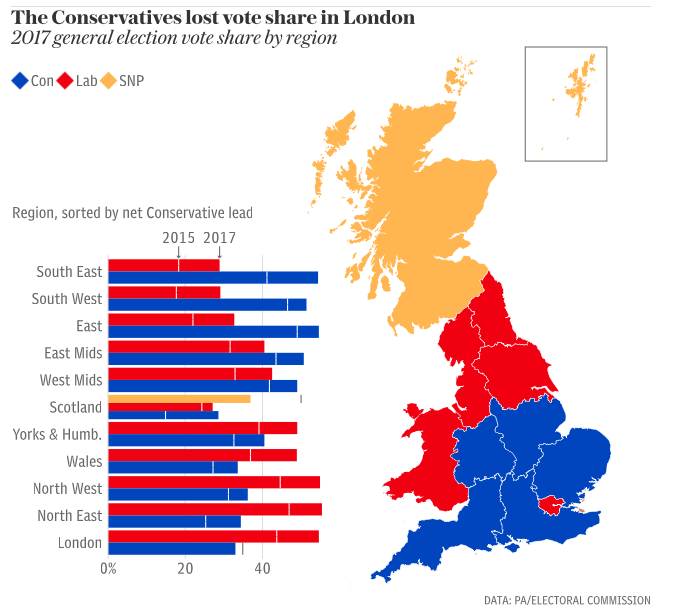 There are three well-defined parts of the United Kingdom (plus London) following this week's General Election there. Ehh ... there's no inclusion of Northern Ireland, on whose DUP MPs Teresa May is now depending so much to remain in government. Sure, I know the Conservatives and the British Labour Party don't technically have party machines in NI, but just sayin'. Donald Trump diarrhoeas tweets and silly statements, so it's very hard to stop and think too much about any single one of them before he trumps it with another. But one line from him after his visit to the Middle East gave me a particular chill. It went something like, 'we have just concluded a deal with our Saudi friends to sell them $110 billion worth of weapons. Beautiful American weapons. Nobody makes them like the United States'. 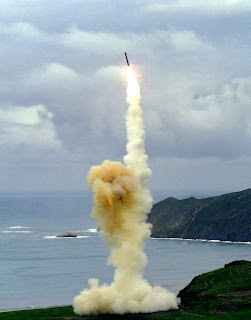 Certainly, there can be a rather terrible beauty about the design of some weaponry, such as the intimidating symmetry of a fighter aeroplane's shape, the metallic sheen on a deadly handgun, the brief majesty of a ballistic missile as it lifts slowly from its launch pad before building up to supersonic speed and delivering its horrific payload of mass death and destruction. But the Trumpet doesn't have, I think, the aesthetic consciousness to appreciate even any of that. No, his sense of beauty here was only the deal, of selling stuff. No matter that the stuff was designed for just one thing, to kill and maim, to destroy life and property. The 'beauty' was in the dollar signs that are imprinted on the American president's retinas, so that everything he sees is framed in that symbol. I can't help feeling too that the same spoilt little boy who now lumbers around the White House is also itching to play with more of the 'beautiful' new toys that came with his current home. His 'lash out' temperament when he doesn't get his way is well established and doesn't bode well for when he faces a real international crisis, maybe with military, even nuclear confrontation aspects. His 'I do it because I can' attitude isn't what we need in the person who has the individual power to order nuclear annihilation. The scary part is that he could do just that, without much hinderance. Those in line behind him don’t seem to have the capacity to rein him in. The mealy-mouthed, cringe-making introduction given by his vice-president when the Trumpet announced the US ‘we’re getting out’ departure from the Paris Accord on climate change doesn’t inspire confidence. And the Speaker of the House Paul Ryan isn’t in any way comforting on his grasp of the real world either. For sure, there are still signs of rationality in the America that I’ve come to know, like and respect through many visits there. The reaction of key cities and industries to signal they will carry on with the spirit of the Paris Accord is one. The progress so far of the judiciary in becalming the Trumpet’s attempts to impose bans on Muslims travelling to the United States. The exceptionally strong and widespread work by the 'failing' news media to hold the president's utterances and actions to immediate public account and fact correction. But this is a cunning man. And an amoral one, prepared to use everything at his disposal to spread both misinformation and malice, to make sure that the integrity and decency of those who oppose him is trashed in @realDonaldTrump twitterstorms and unashamedly twisted utterances by his spokespersons. And these are just the public actions ... who knows what's being done underneath the radar by a businessman who bragged about having deliberately turned up the volume of the music loudspeakers at Mar-a-Lago to 'bug the heck out of all of these so-and-sos' in Palm Beach 'who never wanted me around'? "I love cranking this music as loud as I can," he told his biographer. Substitute cranking loudspeakers with setting the IRS on those who criticise or oppose him at home. Or putting in place FBI criminal investigations of them (if he finally gets a new boss of that organisation to replace the one he fired because he wouldn't do as he was told)? Or lobs a nuclear missile at North Korea because of something Kim Jong-il might slight him about? The scary part is, he got elected even though most everyone in the world who gets to read or view the goings-on in the the United States could see him for what he is from long before the election. Boorish, arrogant, unable and unwilling to study beyond the sound/video snapchat of Fox News and, ultimately, totally incompetent and unsuitable for the highest office in his land. But then, much of his electorate comes from those worst affected by the bad side of the business world in which he had a gilded upbringing. They are the ones with least wealth, with the least hope, and with the least knowledge of anything that happens outside their own city, state, or nation. It's not their fault that they have been taken in by the Trumpet's rabble-rousing slogans and the theatrical histrionics of his campaign rallies. When you have little money or hope, you will latch onto anyone who offers you a cheap fix, even if that fix is unrealistic at best and more likely impossible. The other section of those who elected the Trumpet were the members of the Grand Old Party, Republicans prepared to prostitute their intelligence and what remained of their conscience for the sake of regaining the White House. Actor and politician Arnold Schwarzenegger, reacting last week to the Paris Accord debacle in the White House Rose Garden, said among other things that the Trump Presidency is a 'hiccup' for America. Hopefully for the planet he's right. But in the meantime, who knows what the Trumpet will do in a hiccuping fit that lasts four years? Watch out for one of those 'beautiful American weapons', coming through a sky near you ... as a little boy petulantly throws it from his high-chair because somebody refuses to give him what he wants. Such little boys don't take aim, you know, they just throw. Terrorism on Twitter, the new reality TV? The world news media has become the best propaganda machine for terrorism, of all stripes. What these people crave most is big coverage of their outrages. It adds a fear factor fallout which spreads far beyond the original shootings or bombings. And now social media both feeds and increases that reach enormously. Two things used to work against the news multiplier of terrorism — distance and time. When it took days for news of an anarchy to make it to the front pages of newspapers back in the 1800s, for those reading it eventually there was the sense that it was over, and also not in their space. Then telegraph and radio came along and shortened time. The later advent of global TV and soon afterwards Ted Turner's CNN invention of the non-stop news cycle gave us always-on access to anything happening around the globe where a camera and microphone might be sent. Now, the reach of the internet has brought to us everywhere instant global news. Budget-cost travel also means that if there's a terrorist incident anywhere now, it's likely that we, or someone perhaps only two degrees of separation from us, will be there. Probably filming the event live to social media on smartphones. Terrorism outrages are the new reality TV. It's almost a full circle from when citizens gathered at the Coliseum in Rome to watch gladiators and animals savage each other as a spectator sport. Now though, we don't have to leave our sitting rooms, or the bars or cafes where we happen to be, to have a front seat view of slaughter of our kind by our kind. To even be shaping that view. I'm both a working journalist and a longtime student of journalism. I happened to be watching BBC TV News when they broke word of a shooting in Munich, and as an exercise I hit #Munich on Twitter on my iPad. For the next several hours I watched in tandem the various TV news channels and the Twitter feed. It was an education in how professional news coverage is struggling under the deluging waves of social media. It's not pretty. And for all the hype about 'citizen journalism', it doesn't serve us well. Journalism has never had a pristine record. From Victorian 'penny dreadfuls' right up through the newspaper career of Britain's newest Foreign Secretary, the craft has been riddled with misinformation, propaganda, plagiarism, and downright lying. But most serious practitioners do try to be truthful, accurate, and to tell a story as completely as possible. Doing that takes gathering facts, checking them, and checking again, and then filing copy. There isn't time for that anymore. Pressures of getting the story out first on 24-hour news TV is playing hell with a fundamental of good journalism — checking the facts. On a running story now, there's a new person around the TV news desk: the one monitoring the social media feeds. When the news anchor runs out of questions to correspondents and 'experts', who are often as much in the dark as he or she is, it becomes time to turn to that 'extra leg' of modern news analysis. As Munich developed, elements that came from the social media coverage were relevant, though very disturbing. The smartphone video of the shooter calmly levelling his Glock pistol at the people outside the McDonalds restaurant and then firing deliberately at them as they turned and ran. The one of the conversation with the shooter on the roof on the shopping centre, as he paced around the area, clearly more disturbed than coherent. Both were horrible. But they were grist to the mill of addictive television news watching, especially in the constant TV news loops. At least the TV stations mostly blurred out the terrified people as they tried to flee from the gunman. Many posts of the same video on Twitter did not. The police said afterwards that many of the casualties happened at this point, so it may be that we were watching the last seconds of life for some of those people. And we kept watching over and over, with a prurience analogous to that of the citizens in the Coliseum. That's how we are now. Watching Twitter unfold the story was essentially reading constant repetition of morsels of information bouncing off each other like atoms in a large particle collider, each impact creating multiple versions of the original pair and fragmenting, changing and adding to the content. So the next time one of the by–products came along it seemed new, but wasn't. There were also interjections of untruths. Sometimes inadvertent, sometimes through ignorance, sometimes deliberate. These too were caught on the rip–tide of twit and swept wider and further, then rolled back in to us multiplied even more. Reports of more shooting in a central Munich station went back and forth for hours before being discredited. But not before the city was put in lockdown, public transport was stopped, and people fled or cowered in their homes or wherever places they had been enjoying a normal evening’s activities. A photograph circulated widely of bodies on a floor, purporting to be from inside the restaurant in Munich. Eventually somebody pointed out it was from an attack on a shopping centre in Nairobi in 2013. There was also the inevitable input from those who immediately associate such events with Muslims and Islamic terrorism. Incorrectly, as it turned out. The shooter’s inspiration was rooted in right-wing European hate and a crazed wish to be famous. The police were attempting to clear the scene while not knowing if there were other shooters around, and trying to get a proper handle on casualties. Correctly, they tried not to say anything more than they knew as they carried out their work. News crews were kept at the distance necessary both for safety and for investigation management. But today’s news has to be fed incessantly, with regurgitations of whatever visuals are available, and of talking heads, and the Twitter stream contributed widely to uncertainty, wild inaccuracy, and fear. I'm no Canute. I know the craft which I started into more than four decades ago has changed, and continues to change even faster, from when I was tapping out my early local stories on a mechanical typewriter. I'm not against change. Indeed, I'm an adopter of it and have in my own small way led with the new technology in local news. I use social media for elements of my current work. But I don't get involved on it, I don’t talk on it. Because it's too quick, too public, and too easy to rant without responsibility, carp without consequence. More seriously, it’s too easy to whip up individuals, and mobs, to extremism and evil acts. Social media’s success is based on having provided to all of us gossiping at the corner shop, or sitting on bar stools, or commenting at our televisions, an instant and wider actual audience. To feel we’re ‘in’ rather than observing the minute and the major happenings in our neighbourhood and in the wide world. It has also allowed us as individuals, families, groups and whole populations to be targeted for manipulation in a way that even George Orwell didn’t anticipate. We carry the means of that manipulation voluntarily, in our pockets, in our bags. Mostly in our hands, constantly interacting with our Big Brother small screens in case we miss an amusement, or a scandal. Or more and more killings. I’m well aware of the many good sides of social media, the many positive ways it can and does enrich our lives, and the lives of those we hold close and dear. It has shortened time and distance for globally scattered families. It can and does help bring communities together for good projects. It can and does allow the populace to make its wishes known in national debate. It can aid the election of good local leaders and national presidents. And it can and does help us to learn more about ourselves and our world. When Gothenburg’s printing press provided opportunity for religious, social and political manipulators to propagate their themes and memes, it also began the process of taking education from the privileged few and offering it to all of us. On balance, it’s fairly safe to say that the benefits begun by his technology still outweigh the downsides. Social media is the latest extension of that process, and we can reasonably hope that the good will outbalance the bad in the long run. In the meantime though, it would help if we all paused before we hit the ‘Tweet’ and ‘Retweet’ buttons, and asked ourselves are we adding to the truth or the good of the subject of the moment? Because, while our own individual contribution to the stream might be infinitesimal in the babel of the twittering cosmos, it’s like the butterfly flapping its wings in Chaos Theory, we could be helping to build a hurricane somewhere else. It you’ve got this far, you’ll probably know what I mean. If you gave up after 140 characters, well maybe you are the future come to now. ON SALE NOW! 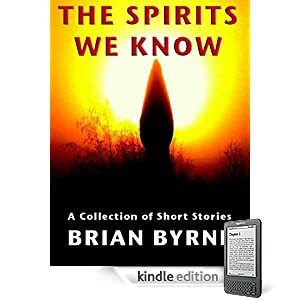 An ebook collection of my short fiction. $2.35 on Amazon.com. "A pure pleasure to read. I'm waiting for the next collection" — Alan Ramsey (Skillman, NJ United States).